Whee! 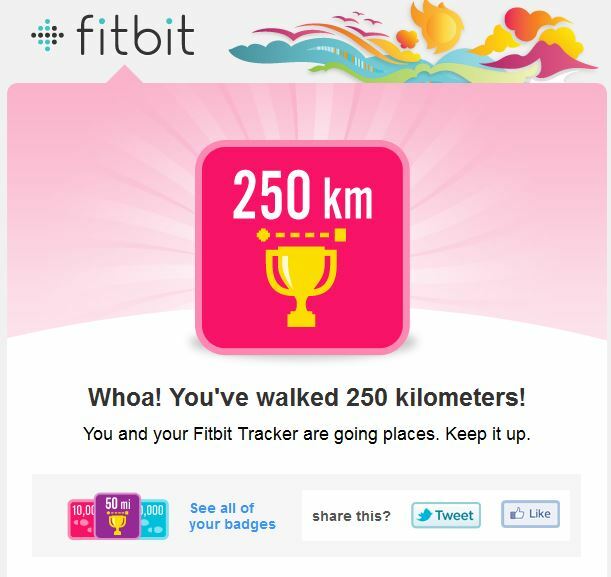 I’ve clocked 250 kilometers since I started wearing my FitBit in the middle of January. That feels really good. I take the stairs at every opportunity. When I leave my office to make supper, instead of loading myself down with laundry and some vegetables for supper and a bottle of wine, I take separate trips for each item. Now that the weather is getting warmer, I’m looking for3ward to getting outside and walking a circuit at lunch time but for now, it’s stairs and laps inside. Toay was a good day. We went out for lunch at the National Club but the meal was light – roast chicken (yes, I ate the seasoned skin), polenta (which I thought were grainy mashed potatoes) and some spring vegetables accompanied with a glass of good red wine. Very tasty. The passion fruit tart for dessert was even better. I didn’t overdo, we walked a lot to get there and I’m feeling happy to have spent the day with Hub learning about oil and gas stocks.